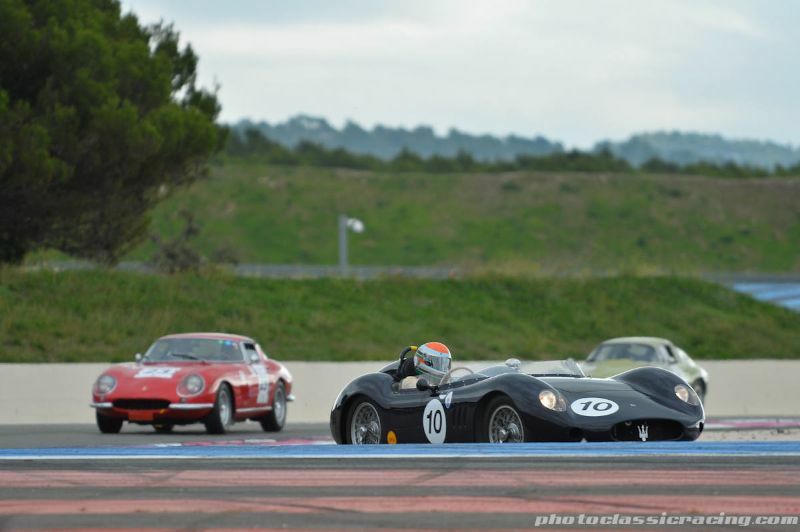 The 2013 Dix Mille Tours du Castellet was held 4-6 October at Circuit Paul Ricard in Le Castellet, near Marseille, France. The fourth running of the historic car racing event was graced with mild weather and seven classic car grids for the enjoyment of the 10,000 spectators present. 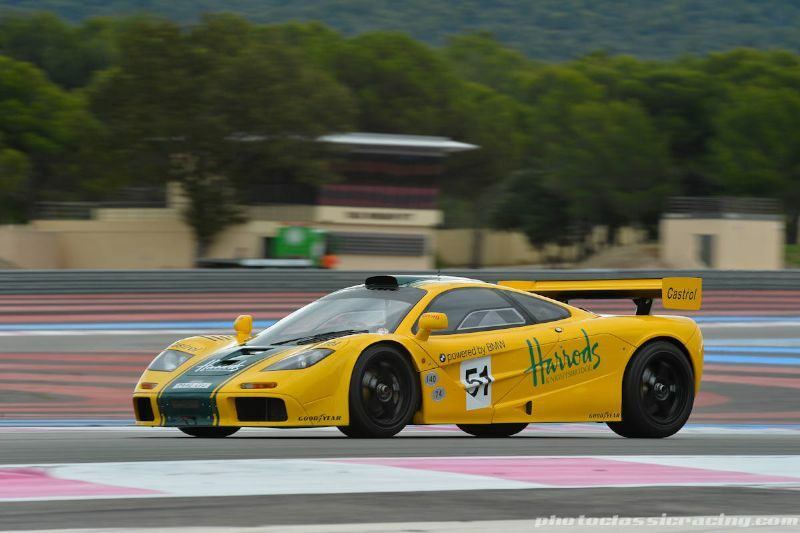 This year, the BPR Global GT Series Revival was at the top of the bill with a great showing of McLaren F1 GTR, Porsche 911 GT1 and other epic race cars from the mid-1990s race series. 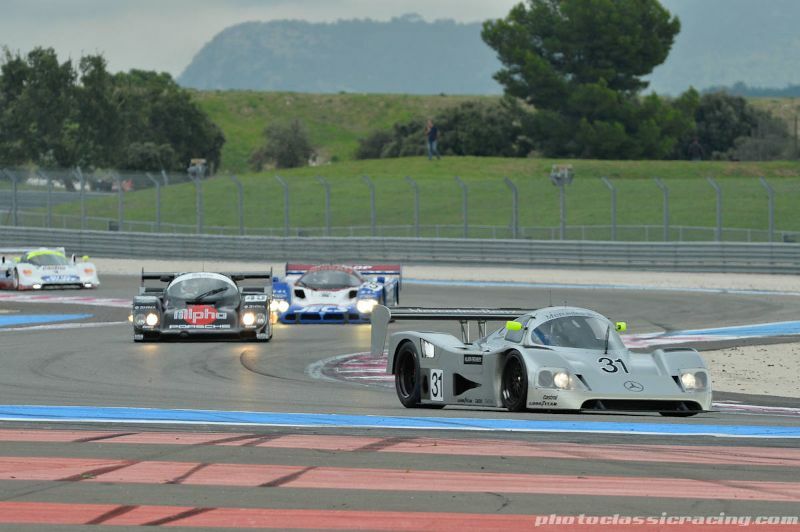 On the Paul Ricard layout, the cars the marked the history of endurance racing put on three demonstrations. Some thirty cars came to celebrate the 20th anniversary of this unforgettable motor racing period. Double Le Mans winner, Gérard Larousse also participated behind the wheel of a Porsche 917 ex Jo Siffert of 1971. Inseparable from Peter Auto events, nearly 600 club cars were on display and ran track laps on the circuit’s extremely technical layout. The Automobilia village also participated to the success of the event with many boutiques set up for the weekend around the paddocks. From the start Carlos Monteverde and his Porsche 917 took the lead, unfortunately a mechanical incident forced the Brazilian to abandon in the 21st lap, making way for the horde of Lolas, which grabbed the first five places. To be noted a third place for Pierre-Alain France who, despite a technical problem which forced him to stop after the chequered flag, managed to resist his pursuer’s assaults. 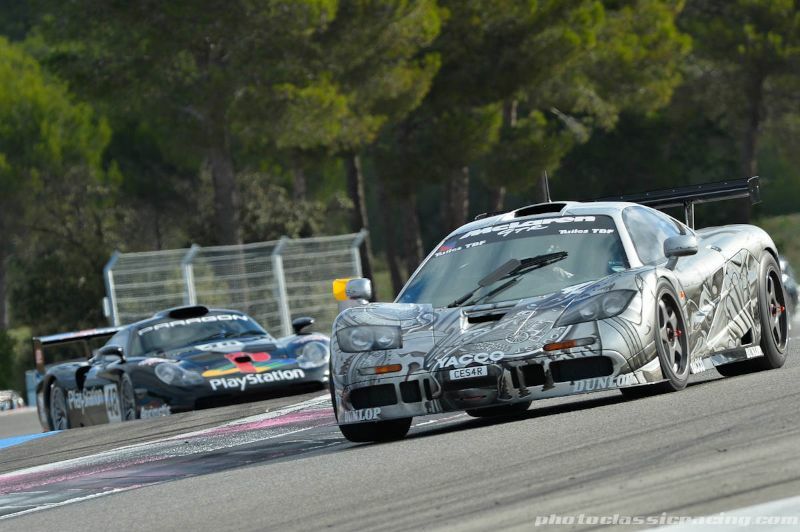 In GT1, the Orjuela brothers, Raymond Narac and Didier Denat set the tempo for this very exciting race. The Raymond Narac / Michel Lecourt crew took the advantage and climbs onto the podium’s highest step. Dominique Guenat on Lola T286 DFV quickly took the lead for a perfect race. Carlos Barbot and Michel Quiniou did all they could to catch the leader but due to mechanical incidents, both had to abandon. The second place was coveted by Frédéric Da Rocha, Jean Guikas, Yves Scemama and Philippe Scemama. The two brothers abandoned at the end of the race and Jean Guikas took over. However, he was dropped to third place because of a slow pit stop time. In GT2, Mr John of B had a great race in front of David Ferrer and Erik Maris, but was dropped to the podium’s second step because of speeding in the pit lane. At the Dix Mille Tours, the Sixties’ Endurance was the largest grid with nearly 70 exceptional models. On the sunny Saturday evening, the competitors started their two-hour race. 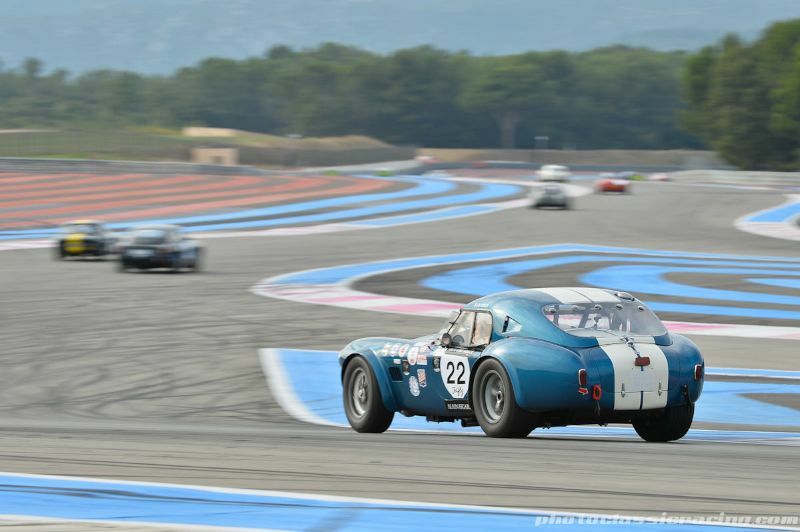 From the start, Jean-Marc Merlin flew ahead with his AC Cobra; on his heels was the AC Cobra of Simon Hadfield who never caught up with the leader. Carlos Monteverde’s AC Cobra took third position. This season’s last round gathered a record number of participants and the ‘gentlemen drivers’ behavior during the whole race was exemplary. 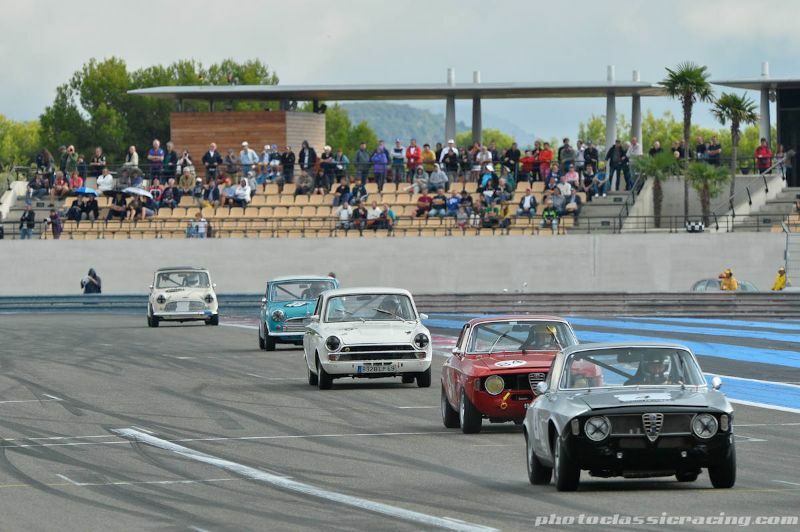 For the occasion, 28 Ferraris, Alfa Romeos and Maseratis represented the largest Trofeo Nastro Rosso grid since its creation in 2010 during the first edition of the Dix Mille Tours. In the first race, Carlos Monteverde’s Ferrari 250 LM climbed to the podium’s highest step ahead of Carlos Vögele in a Maserati 300S. It was not an easy race for Vögele, who had to repel Marc Devis’ repeated attacks with his Maserati 250S. Sunday morning, the Italian beauties were back on the sunny Var track. Once again, Saturday’s winner with his Ferrari 250 LM was a notch above his competitors. David Franklin’s Ferrari 275 GTB caused the sensation with a beautiful second place even though Marc Devis and Jan Gijzen fought relentlessly. The latter resisted during a good part of the race but, under pressure by Devis, Gijzen spun his Ferrari 275 GTB two laps before the finish leaving the road clear for the Maserati 250S of Devis. Rolland d’Abel de Libran and Michael Erlich put on an excellent show for the public. Both started in the lead and the Alfa Romeo 1600 GTA driven by Erlich struggled tirelessly with the winner’s Ford Cortina Lotus. With their Austin Mini Cooper S, Laurent Majou and Peter Crews also fought enthusiastically for third place. During the final laps, the positions were still uncertain but finally Laurent Majou won the duel. In the second race Rolland d’Abel de Libran and Michael Erlich easily remained in front. The third place was promised to Peter Crews but a jumped start put him back to the rear of the grid, leaving the podium to Damien Kohler’s Ford Lotus Cortina. For the Mini Classic, the battle for victory was played between Laurent Majou and Philippe Quirière. Majou won by two short seconds. 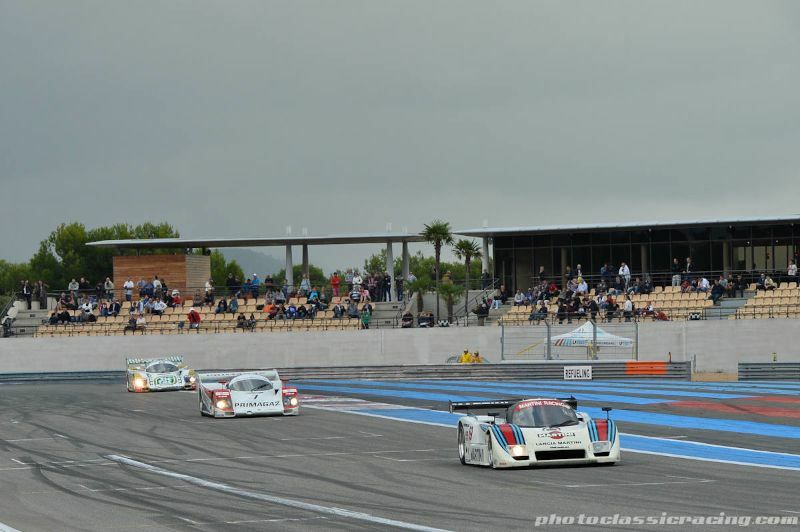 The Group C closed the 2013 Dix Mille Tours festivities. Katsu Kubota and his Nissan R90CK took an excellent start but a bonnet problem during the third lap took them back definitively to the stands. As usual, Gareth Evans and his Sauber Mercedes-Benz C11 were far ahead leaving little hope to his pursuers. Despite Christophe d’Ansembourg’s impressive come-back performance in the Porsche 962, Pierre-Alain France finally took second place in the Porsche 962C. 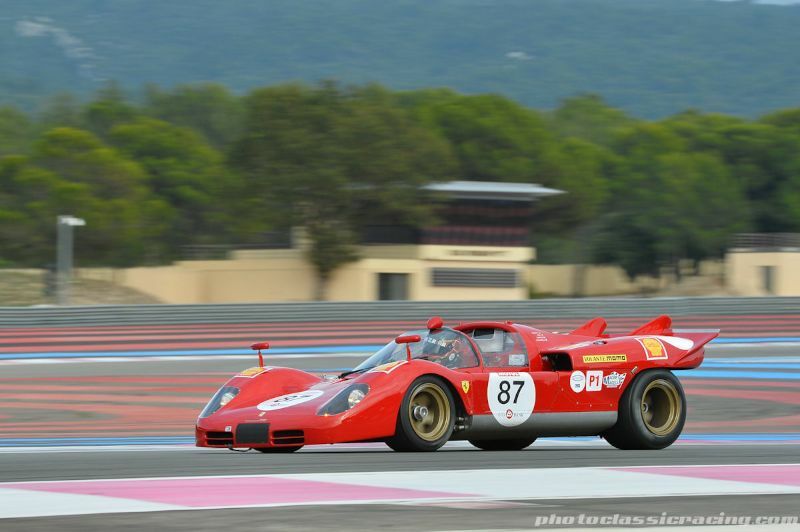 The fifth edition of the Dix Mille Tours du Castellet will take place on 3-5 October 2014. We split up pictures from the 2013 Dix Mille Tours du Castellet into two galleries. The first gallery starting below features our favorite images, all displayed in the full-width view of Sports Car Digest, while the second gallery and race results can be found on the last page of the article and gives a comprehensive view of all the photographs. I think you are misled on who led the first half of the Classic Endurance Racing 1 race, it was the Ferrari 512S not the 917. I was driving it.